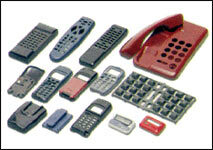 BESTEC has been served the precision custom tooling and molding business, primarily in computer peripheral, telecommunication, and instrumentation markets. Not only molds but also injection molding, which include secondary operations and finishing through BESTEC's equipments, 2 full service molding shops, and 2 full service mold making shops. 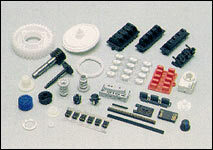 From part concepts to molded parts and finished assemblies, BESTEC delivers excellence in precision crafted products. Injection Mold Design in Full 3D Wireframe with Surfaces on Core, Cavity, etc. for CNC. Wide range of experience with Slides, Lifters and Contoured parting line. Hot Runner Molds, 3-Plate Tooling, Family Tools, and Multi-Cavity Tools. Translation pakages which accepts 1GES, DXF, STL or other similar file format. BESTEC can deliver high quality parts in days instead of months with our rapid prototyping technology. We can produce ABS prototypes quickly and inexpensively. This process greatly reduces lead times by exposing problems before too much time and money is spent. © 2000-2017 BESTEC CO. All rights reserved.